Spying on someone’s cell phone seems very exciting and easy when you have cell phone tracking software. But when anyone claims app to track phone without installation of any particular app convincingly, then you may call it stupidity or you may call the person out of mind. 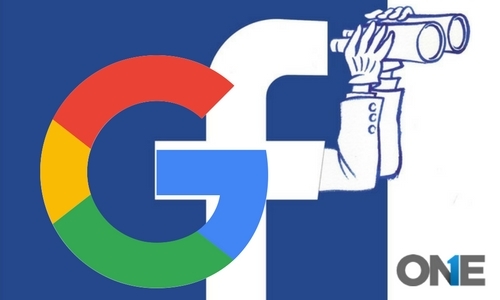 On the other hand, the contemporary technology and internet has introduced various ways of monitoring smartphone without the installation of surveillance software, but not completely in particular. Using the spying applications would be very convenient for the users that want to monitor someone’s phone. But if you want to track a phone without installing software, you are just making a castle in the air. You can claim you have visited the moon, but you cannot claim that you have visited the surface of the sun. Phone tracking coordinates technique seems interesting but in reality, it is hectic and a layman cannot do that at all. Through this technique, the user can trace out the phone and you can find out your lost phone. Furthermore, you can spy on your target phone in terms of the usage of the phone. The developments of satellite and GPS, with the use of these two particular tools you can track a smartphone remotely and hack the activities happen on the target phone such as text messages, the location of the phone. There are three major bluffs that fool users to monitor the target phone without the installation of software. When it comes to monitoring the target phone, you have to install cell phone tracking software. Don’t wonder that how you can track a cell phone location without the installation of any software especially. The technology has provided the number of solutions to fulfill your demands what so ever. You can track the GPS location of your target cell phone by using the free services of any mobile operator. However, if you have kind of documents confirming relatives with the target and along with the person consent then it will piece of cake for you. All the mobile service operators will provide that kind of services, so there is need to do your homework first. But those who don’t have a kind of information to track the phone or they are not tech-savvy then they have to install the mobile tracking software that works as spyware. Moreover, if you want to keep your eyes on regular information regarding your target smartphone then it is necessary for you to get current GPS coordinates for target cell phone tracking and finding out the routes on virtual maps you have to install phone tacker remotely within the few clicks. It will work under complete secrecy and the target user would not be able to make themselves alert to the hidden activity. You can even use the GPS phone tracker that doesn’t need any installation on the target phone and you will connect yourself to the device special data. Gone are the days when you have to spy on someone’s phone having physical access and if the device has protected with the password, it becomes impossible for you. Now you can do surveillance on the smartphone by using the GPS phone tracker. It enables a user to spy on phone’s signal through special data. You can track the location of the phone and get to know the location of your stolen or theft phone. There is no other way to get your hands on all the information existed in your target phone. You have to use an android or iOS monitoring software for androids or iOS and blackberries. You can track a cell phone of android without the installation of any spyware of android. The Android OS has special services that exist by default. It works on your Google account. You just need to use the following things. It is also known as Google find my device. The app is officially developed for the popular websites and for search engines. It is totally independent of the operating systems and it doesn’t need installation and will work until it has the stable internet connection. You can press a special key to make your target phone ring anywhere. If someone has lost the phone or the person has left it somewhere, you can still find out the iPhone. You can use Apple’s owned track my phone system. Use following mention techniques and track your iPhone. Obviously, you are not a spy and affiliated with any intelligence agency of the world. that will make you to spy on all the activities happen on your target phone without the installation of spying app such as messages, calls, browsing history, social media activities and phone bugging of any target phone. You can only track cell phone location without the installation of spy app. But when it comes to spying your target phone you have to install the cell phone spying software on your target smartphone in order to get your hands on all the things stored and happened on the phone. Note: Hence, we have come to the point that cell phone monitoring without the installation is impossible, and you have to have a physical access at least for once to install the tracking app on the target device and monitor the target smartphone. You can subscribe to spy phone app and you will receive the credentials. Once you have got it you can install the phone tracking app on your target phone having physical access to it. Now get access to the control panel and visit the tools that will empower you to spy on your target smartphone within no time. The user can use the GPS location tracker of the cell phone surveillance app in order to get a current and exact location of your target device whether it is Android, iOS, and blackberries. You can further get your hands on GPS location history and make safe and restricted areas. No matter how many calls your target cell phone has received, you can listen and record the calls by using the secret phone remote call recorder. It enables a user to track live calls and then you can save it over the web. You can listen and record surround sounds and conversation by hacking the microphone of your target phone with MIC bug app. However, you can view the surround activities with spyvidcam bug software and can make short videos of the surrounds remotely. You can spy on text messages sent or received text messages with the help of text messages spy app of the cell phone monitoring software. It further allows a user to view iMessages, SMS spy, MMS and BBM chat messages on your target phone. Spying on your target smartphone without installation of any phone spy app that would comedian that want to make you laugh with his sense of humor. 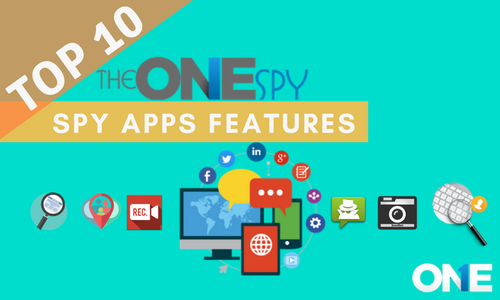 You want to get your hands on the complete information of your target phone then TheOneSpy – Android monitoring software is the ultimate and reliable tool to spy on your target phone. It empowers you to track IM’s social media, browsing history, screenshots, remotely get control on phone and as well as email monitoring. Track a smartphone remotely and hack the activities happen on the target phone such as text messages, the location of the phone. Let’s discuss how you monitor your target cell phone device without installing any spy software on the target phone.